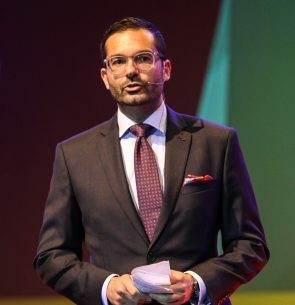 Julian Azzopardi is CEO of Junior Achievement Young Enterprise Malta Foundation (JAYE Malta), a Non-Governmental Organisation specialised in providing opportunities for youth in entrepreneurship. Founded 30 years ago, formerly known as Young Enterprise, today JAYE Malta provides non-formal education programmes and activities that help stimulate youth creativity and innovation at all levels of education. Julian is a graduate in International Relations and holds a Masters in Socio-Economic Development, is a former European Commission and UNODC functionnaire and his Dissertation on the educational benefits of football programmes in underprivileged communities in South Africa was a perfect combination of his passion for the sport, travel and youth development. Julian is also a 2009 JCI Top Ten Outstanding Young Persons of the World Awardee for humanitarian and voluntary leadership. Julian Azzopardi, JAYE Malta, interviews Edward de Bono, world-renown author and consultant.